You’ve invested time and money, bought all the latest gear and technology, brought together and developed a great crew, but still struggle to consistently get the result you should be able to achieve. It happens in every sport – most of us have invested in the latest and greatest equipment and not seen the improvement we expected. You can have the ‘fastest’ or ‘newest” boat, but if you don’t have the right systems and people in place you may never achieve the results your investment deserves. Whether you race at club,national or international level, around the buoys or across the oceans, Race Yachts can help develop your yacht and your team, which means better results and bigger smiles. 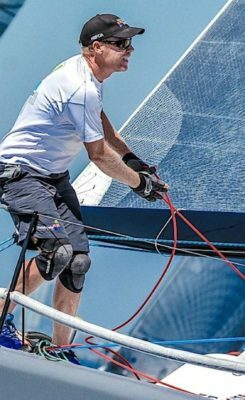 Jason Rowed starting out sailing on Pittwater in Sydney Australia, and has since gained experience that spans the globe, including One Design racing, Ocean racing and Maxi Yacht sailing. Click here to down load Jason’s bio. Invest in one of your most important assets and reap the rewards!